Virtualization is the "creation of a virtual (rather than actual) version of something, such as a server, a desktop, a storage device, an operating system or network resources". In other words, Virtualization is a technique, which allows to share a single physical instance of a resource or an application among multiple customers and organizations. It does by assigning a logical name to a physical storage and providing a pointer to that physical resource when demanded. What is the concept behind the Virtualization? Creation of a virtual machine over existing operating system and hardware is known as Hardware Virtualization. A Virtual machine provides an environment that is logically separated from the underlying hardware. When the virtual machine software or virtual machine manager (VMM) is directly installed on the hardware system is known as hardware virtualization. The main job of hypervisor is to control and monitoring the processor, memory and other hardware resources. After virtualization of hardware system we can install different operating system on it and run different applications on those OS. Hardware virtualization is mainly done for the server platforms, because controlling virtual machines is much easier than controlling a physical server. When the virtual machine software or virtual machine manager (VMM) is installed on the Host operating system instead of directly on the hardware system is known as operating system virtualization. Operating System Virtualization is mainly used for testing the applications on different platforms of OS. When the virtual machine software or virtual machine manager (VMM) is directly installed on the Server system is known as server virtualization. Server virtualization is done because a single physical server can be divided into multiple servers on the demand basis and for balancing the load. Storage virtualization is the process of grouping the physical storage from multiple network storage devices so that it looks like a single storage device. 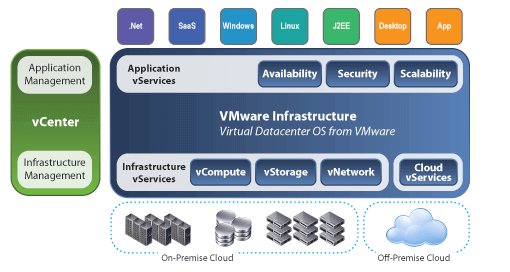 Storage virtualization is also implemented by using software applications. Storage virtualization is mainly done for back-up and recovery purposes. How does virtualization work in cloud computing? Virtualization plays a very important role in the cloud computing technology, normally in the cloud computing, users share the data present in the clouds like application etc, but actually with the help of virtualization users shares the Infrastructure. The main usage of Virtualization Technology is to provide the applications with the standard versions to their cloud users, suppose if the next version of that application is released, then cloud provider has to provide the latest version to their cloud users and practically it is possible because it is more expensive. To overcome this problem we use basically virtualization technology, By using virtualization, all severs and the software application which are required by other cloud providers are maintained by the third party people, and the cloud providers has to pay the money on monthly or annual basis. Mainly Virtualization means, running multiple operating systems on a single machine but sharing all the hardware resources. And it helps us to provide the pool of IT resources so that we can share these IT resources in order get benefits in the business.